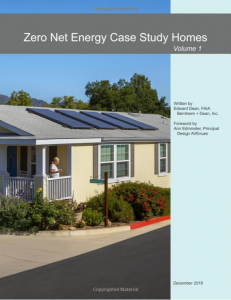 Congratulations to author Ed Dean and the team at Southern California Edison for their new publication, Zero Net Energy Case Study Homes, Volume 1 — and to all the project teams whose work it describes! My favorite thing about the book is that, with just five case studies, it demonstrates that ZNE performance is achievable across a wide spectrum of housing types: new single-family homes (the easiest), a single-family renovation, a modestly-sized modular home, single-family production-built homes, and new multifamily housing. 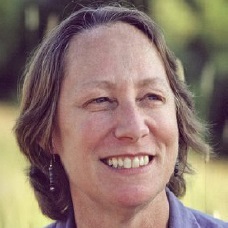 Members of the ZNE community outside California – in places that have “real” weather – sometimes scoff at the lack of challenge of accomplishing ZNE here. Admittedly, our populous coastal areas benefit from benign climates, but we also have both very cold climates, such as Redding (similar in heating degree days to Chicago), and very hot ones, such as Palm Springs. Other factors also make this a challenging environment for housing innovation, among them high costs, a highly mobile workforce, and a notoriously litigious culture. Thus creating successful, marketable, ZNE projects is a non-trivial feat. All the projects represented here have met the pinnacle of ZNE achievement: verified site ZNE. That is, not only was each project designed to be capable of achieving ZNE, but utility bills provide objective evidence of occupants’ energy use yielding ZNE in actual operation over the course of a full year. Further, site ZNE (explained in the introduction) is the most difficult definition to meet. These projects therefore demonstrate, importantly, that operational site ZNE (to which source ZNE is equal, for all-electric projects) is an achievable benchmark. These proofs of viability are absolutely critical to supporting the State’s likely push towards residential electrification in years to come. The project developers whose work is showcased here are thus to be both congratulated and thanked for their significant contributions to the future of housing in California, and beyond. Read on, and benefit from their experience.